That's right! These are Not Your Grandma's Dish Cloths! They are full of color and style! 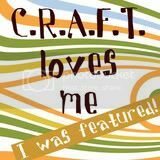 NOTE: If you'd rather I make them for you, click here for my ETSY page. I used Sugar and Cream yarn for this tutorial. And an "H" or "I" crochet hook is fine. 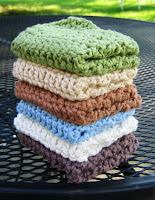 It's inexpensive and you can usually get about 2 wash/dish cloths from one roll. NOTE: This is my own pattern. You may post it on your blog, etc. Please credit the original designer (me). I love the way you show step by step how to crochet that dishcloth, very nice idea to teach like that. Maybe I may learn to crochet yet! Hi Sweetybird09! I'd love to learn to knit! Thanks for such a sweet comment! What size hook do you recommend for these? Thank you Elizabeth for asking about the hook. I can't believe I left the most important part out. I use an H or I hook. It's now in the instructions. great post annabelle. 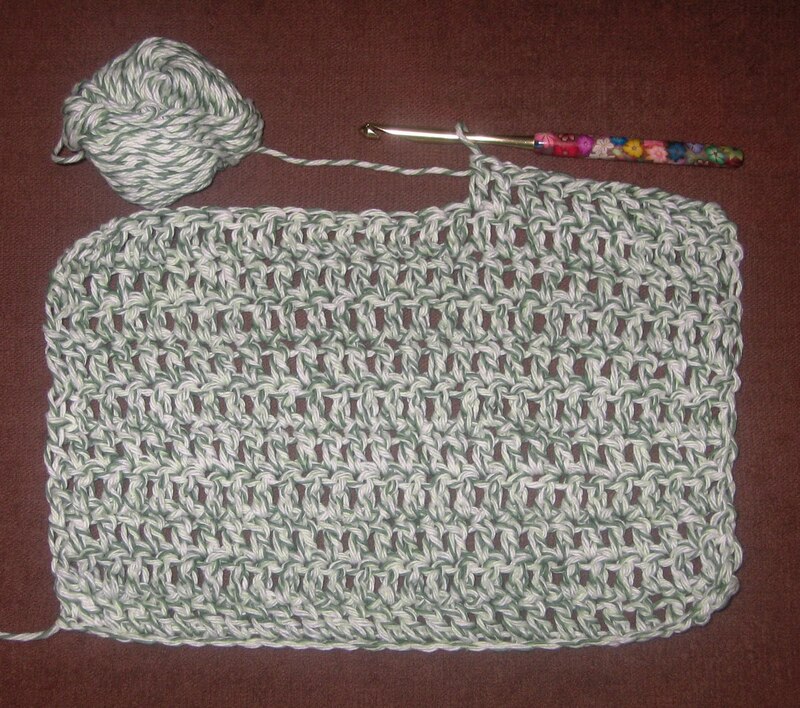 i like that you've included some progress pictures for those that are new to crocheting. 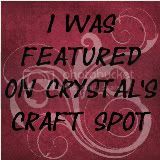 i love crocheting so always love reading about others doing the same! So I would like to give some washcloths I've made as Mother's Day gifts and am curious how you make the cupcakes - any chance of getting that tut right away? I came here via Penny Pinching Party. Stop by and visit me sometimes over at Pittypat Paperie. Here's my question on these (they're lovely, awesome, home-made, so fit all my requirements for loving!) Are they machine washable? My dish cloths get regular washings to not get all stinky - i use them instead of a sponge to clean my dishes. 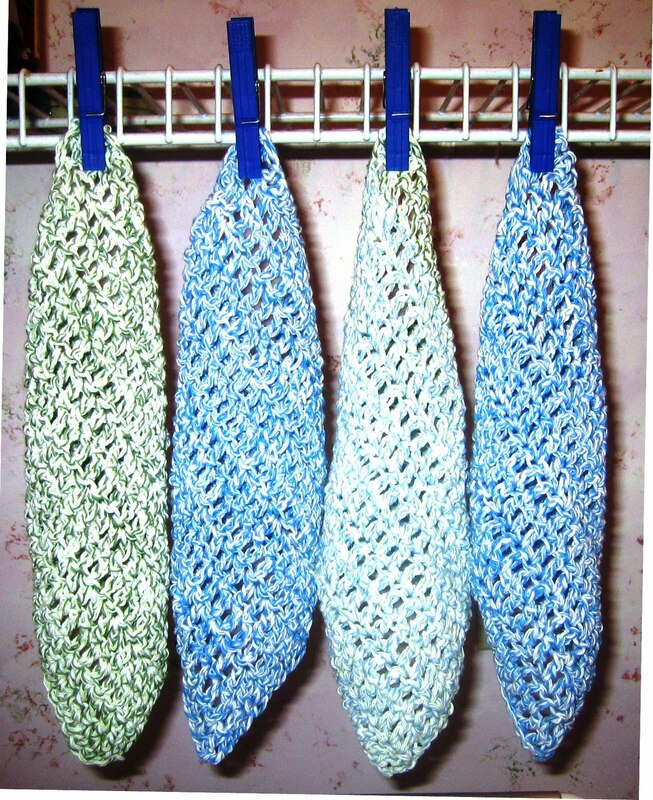 So if I crocheted some, would I be able to pop 'em in the washer as easily as the terry cloth ones I already use? I love these! Can't wait to whip some up! Thanks for sharing the pattern. I will be linking back to you. These are great Annabelle! 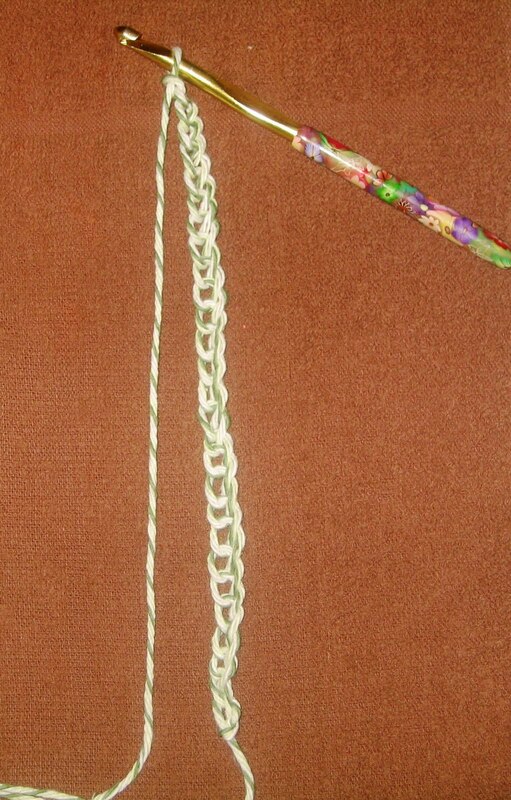 Thanks so much for linking to this in the One Pretty Thing Flickr pool, I'll be linking in the next Crochet Roundup. Very nice! These would make a wonderful Christmas gift! thanks so much for the pattern!! i love these! These are quick and easy to whip up thanks for the pattern. My question is why does it say to leave a 3 inch tale? is this for sewing in purposes? Awesome tutorial, you have a knack for teaching! I had no trouble following your instructions! Hi, I'm your newest follower, found you on Flickr. Hope you can stop by sometime. I love these new washclothes, they remind me of candy corn. Just in time for Fall. Where can I get pretty crochet hooks like the one in the illustration? 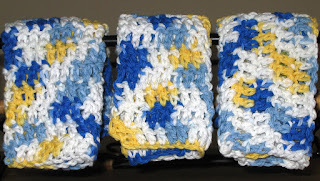 Cute dishcloths and a great tutorial too! What do I do with the 3 inch tail??? Hi Alana. The tail probably doesn't need to be 3 inches. You just need enough to tuck it back into the washcloth or tie it off like I do. Hope this helps. Hi Annabelle. As you stated this is your own pattern and that we may post it on our blogs, etc. Would it be okay to sell any items we make. I would love to make these and sell them, giving credit to the pattern and designer. How did you make the splotches of color? What brand is the yarn? I created almost the same pattern. Just all either single crochet or double, depending if you want the holes. I wash mine in washer but since it is cotton they do shrink. Eventually lose their pretty colors too - but they last quite a long time. I love the colors that you used in the picture (lime, blue, orange and pink), do you happen to have the exact names of those colors? I would love to give this project a try. Also, does it matter if you crochet or knit these, is one better then the other?? Thanks! 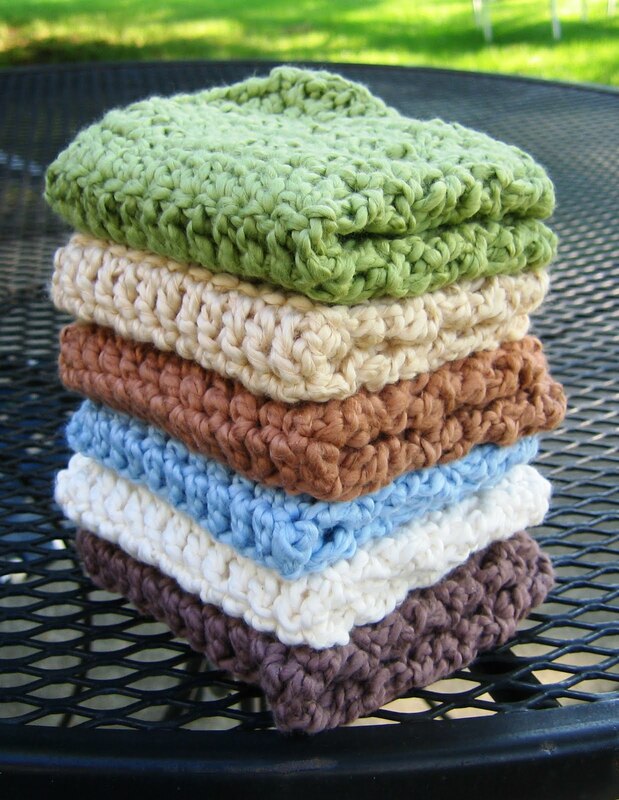 Can 100% acrylic yarn be used make these as that's all I have and tons of colors. Want to make for Christmas gifts. Acrylic will work but wont be as absorbant. 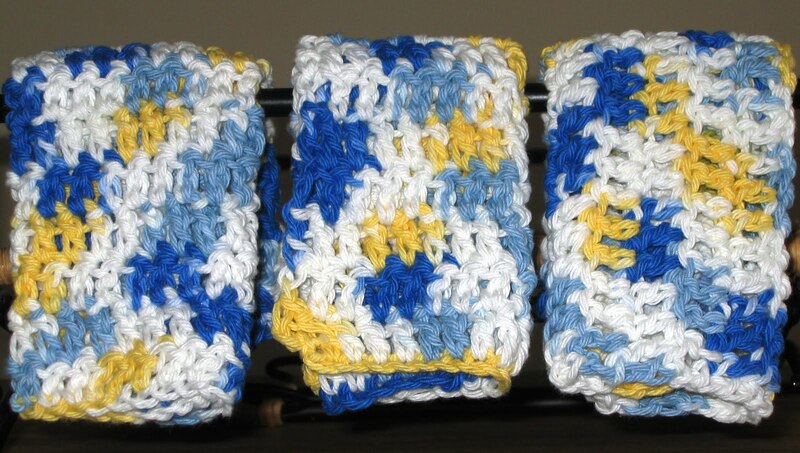 Coasters: How to Crochet my "Comeback Coasters"